Time is an issue. Theres never enough of it when you’re busy, or way too much of it if you happen to be somewhere you don’t want to be. Half the time its the wrong way around, especially when you have friends and family on the other side of the planet and something you just neeeeeed to tell them when actually its 4am there and theyre not gonna wake up just because you have this THING. It flies when you’re having fun and never just lets you reset it back to an hour ago and have that all over again, and yet it has no problem compressing a year or twos worth of memories into one little blurry block that feels like it was done and over in a week. And did you ever get that feeling when you arrive back from a holiday and it eerily feels like you never left? Time can rip you off. But fear not, this isnt going to degenerate into a simple rave about negative stuff, this is actually going somewhere. I have decided that the trick is multi-tasking but in a kind of, one thing at a time way. Like taking multiple realities, and living in all of them, but not all at the same time, hopping between them, except, this isnt multiple realities is it? Its more like… multiple time streams. I know. But I can make this work. So if I can just ‘imagine’ that in one of those multi-time streams, I have already completed everything on my to do list, suddenly things get better. I can relax, safe in the knowledge that at least one version of me, somewhere in this space time continuum multi level reality flow, HAS done enough to be able to sit back and watch a movie and finish Bioshock Burial at Sea on the xbox. At which point, I can imagine I am in THAT time zone thingy and can do that too. No guilt. Trust me, it’ll all work out. But the most important thing, the THING thats been taking all my available time from both this and other levels of time reality, is THIS thing, or rather TWO THINGS. 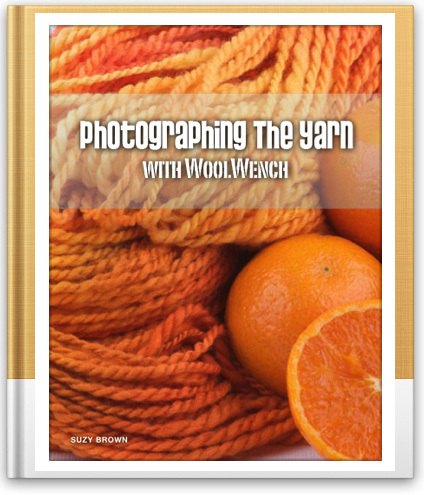 Two brand new ebooks in the Fiberygoodness.com shop... oops make that THREE! Its at the top of the Shop page on fiberygoodness.com and there are a few sample pages to view there as well. It has lots of eye candy and I really loved writing it and doing the blending and photos to fill it up with. 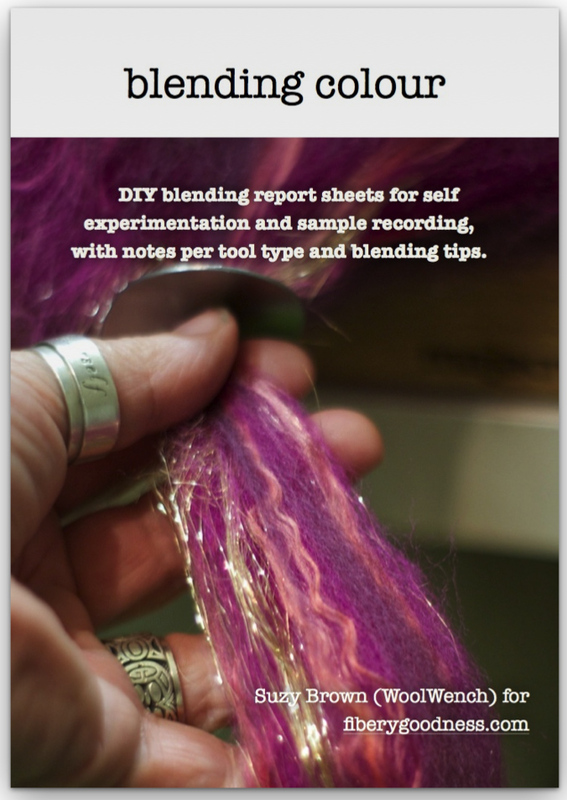 Then there is the other blending book that I finished last week, this time something exotic, something super squish – Blending Luxury Fibers. This is also in the shop (with a free preview) and inludes notes on each fiber that I selected to focus on (there are six in this book) which include Cashmere, Baby Camel, and Yak among others. The notes tell how to handle the fiber, how to process it ready for spinning, and something about blending, because.. who can resist something like a Silk – Baby Camel – Alpaca blend? 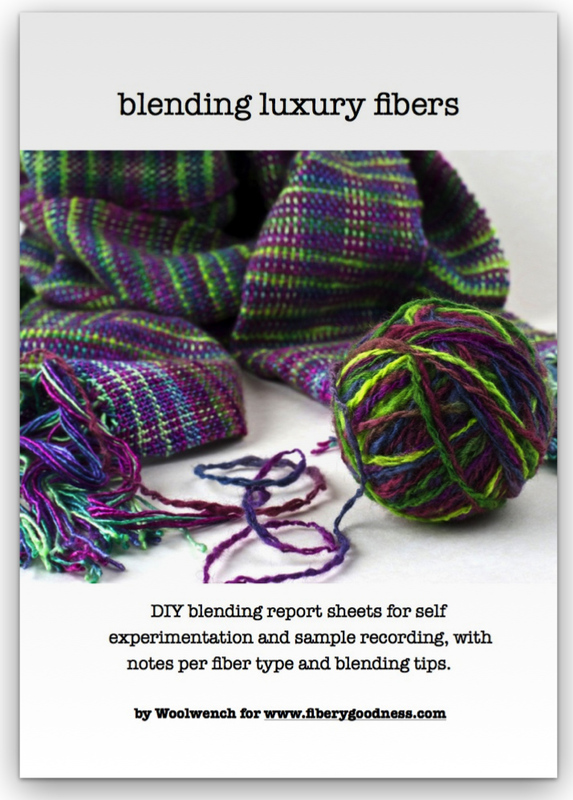 This book takes a mad scientist approach to exploring different blends and mixes using only luxury fibers, with several kinds of record sheets ready for you to print, fill in, and attach your samples to – so if you ever wanted to experiment, this might be just the thing you need! The third book is a totally free ebook on Brand development and Photography, its been available here on my website for a while, but I thought it was time to send it out into the big wide world, so there it is! It contains both some eye candy, some detailed photography setup tips for well lit photos day or night as well as digital processing. It also has a whole big section on branding and developing your online ‘image’. I hope you will find something of use. Hi Suzy, before I purchased I wanted to be sure these won’t be part of the Journey materials so I don’t double buy. Can’t wait to read them either way!